Brian is a professional. Simply put, he knows his stuff and always does it with a smile. Brian really helped me enormously with getting started on using computers, a while back, and he was very effective, professional and patient. I am now a proficient user of my hardware, software and internet reach, all of which is proving to be very helpful indeed. 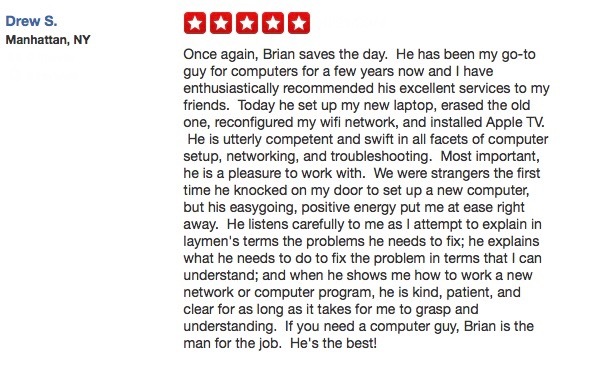 I would recommend Brian without hesitation. He has many valuable skills to assist you with. Brian is extremely helpful. He easily solves my computer issues. Over the years I have purchased 3 new computers and Brian has handled the transition of programs & files from one computer to the next effortlessly. I trust him with my personal and business data. 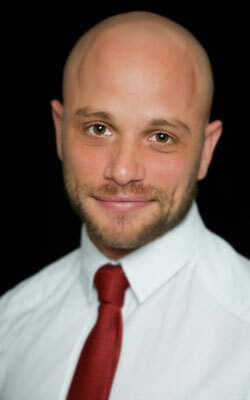 He has a great outlook and is always a pleasure to work with. I wouldn't start a project without his number handy! My computer crashed and I was stuck. After a quick visit to the Computer Tutor, I was up and running again in no time. Tech and Computer Tutor in Los Angeles, Palm Springs, California. West Hollywood, Los Angeles, Palm Springs Step by step help in your own home to speed up your computer to make it as fast as it was when you first bought it. Make your home/office wireless. Get rid of annoying pop up ads. PC/MAC. Hook up Tivo and home theaters. 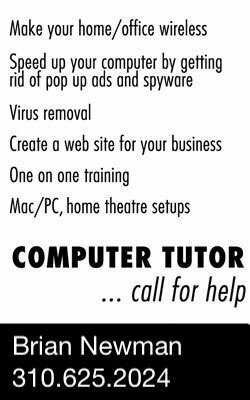 Tech and Computer Tutor in and Los Angeles, Palm Springs, California.West Hollywood, Los Angeles, Palm Springs Step by step help in your own home to speed up your computer to make it as fast as it was when you first bought it. Make your home/office wireless. Get rid of annoying pop up ads. PC/MAC. Hook up Tivo and home theaters. Tech and Computer Tutor in Los Angeles and Los Angeles, Palm Springs, California.West Hollywood, Los Angeles, Palm Springs Step by step help in your own home to speed up your computer to make it as fast as it was when you first bought it. Make your home/office wireless. http://www.creativewebworks.com Get rid of annoying pop up ads. PC/MAC. Hook up Tivo and home theaters.